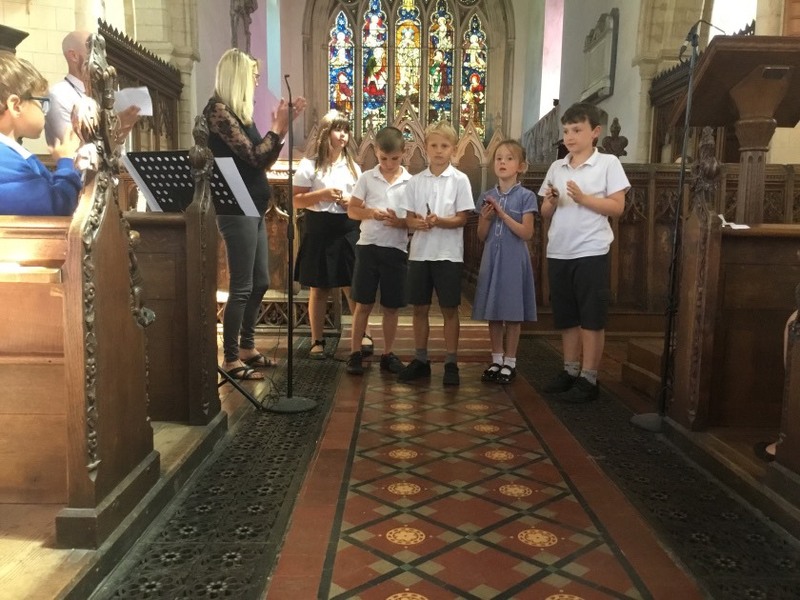 "Perhaps the most moving event of the year is the Year 6 Leavers’ Service. It’s a sort-of ‘bitter-sweet’ time – all the excitement, and probably some nervousness, about starting High School; combined with a genuine sadness at leaving their primary school, which has nurtured them and opened up so many opportunities for them to thrive. It’s also the occasion to present awards – five children at North Elmham CEVC Primary School achieved 100% attendance, and there were awards for excellence across the curriculum. Well done to all those children! I was particularly struck, however, by an award for Caring, which was given to Simon. Not a ‘subject’, so much, but a value that is at the heart of our schools, and one which I hope the children will carry with them into their adult lives." As well as the schoolchildren (there are about 95 on the school roll), there were several younger siblings and parents/grandparents/ carers, as well as one or two families who don't have a Leaver this year, but came anyway! In all a congregation of around 120 children and about 60 adults, including school staff. The story of the Last Supper (from the Lion Storyteller Bible) was told and the Rector and spoke about endings & farewells, friendship, new beginnings, and aiming high, linking to the disciples and how the story about Jesus was spread throughout the world. Three songs formed part of the service: One more step along the world I go, True Colours, and I reach up high. Maths, Sports, Caring, Reading, Writing, Drama, Improvement. The adults in the pictures are Mr Scott Good, Year 5/6 teacher, and Miss Sue Tobin, Joint Headteacher.